Does it seem as though toys are taking over your house? Do you feel like there’s never any place you can go to get away from dolls, cars, and coloring books? Is it possible to have the toys and a clean home at the same time? I’m happy to say, YES! All it takes is a little creativity. Here are 25 stylish kids’ toy storage ideas. Suction Cup Shelves: If you’re looking for a bath toy solution, suction cup shelves will hold toys and can easily be removed (and put into a cabinet) after bath time. Cubed Shelves: There are many brands of low-to-the-ground cubed shelves that are perfect for storing individual larger toys. DVD Cabinet: Kids’ music and movies can be placed into a DVD cabinet for a way to keep them all in one place while accenting your living room design. Wooden Shoe Cubicle: Wooden shoe cubicles, like cube shelves, can hold individual items and get them off of the floor. They are great for bedrooms and playrooms. Book Shelves: Designating a set of fashionable bookshelves for children’s books is a good way to keep them in one place, and encourage a love of reading. Storage Bins, Crates, and Drawers. Wooden Crates: Wooden crates are a great way to store small toys and can complement your living room at the same time. You can paint them and place decals on them to make them your own! Decorative Rectangular Baskets: Decorative lined baskets are a cute way to store books, coloring books, and crayons. They can be put on a shelf or set next to a sofa for an organized look. Fabric Drawers: Fabric drawers look great on shelves or when used to hold items in a playroom or bedroom closet. They are perfect for smaller toys and come in a variety of shapes and sizes. Use What You Have: Do you have an extra kitchen drawer or cabinet that’s not in use? It may be just what you need for holding some of your kids’ favorite things. Wooden Trunk: Trunks are another wonderful addition to a living space and can hold many of your children’s toys. And let’s be honest, they are great conversation starters! Plastic Crates: Bright and colorful, plastic crates are a stylish addition to your playroom or toy area. And the ability to stack them on top of one another makes them a wise choice! Small Plastic Bins: Small bins, with lids, can help you keep crayons, markers, etc. 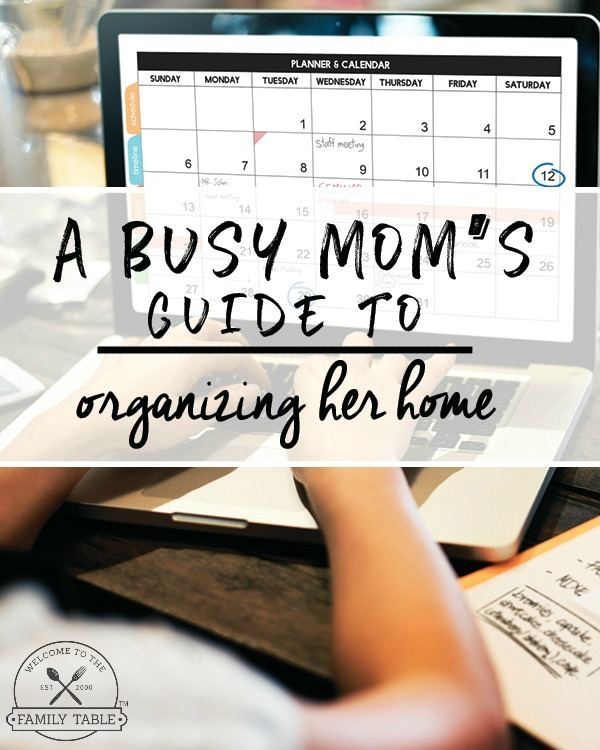 organized and all in one place. Large Storage Baskets: Large storage baskets are perfect for holding stuffed animals and dolls. Having one or two strategically placed in your home will help your children remember where to put them when cleaning up their things. Sets of Plastic Drawers: Sets of plastic drawers are another storage solution that can be put into a closet, leaving the toys organized and behind closed doors. Under the Bed Storage Bins: Purchasing one large plastic bin for each of your children will give them a place to put their smaller treasures. They can slide them under the bed…and out of sight. Under the Bed Drawers: When buying your child’s big-kid bed, consider one with storage drawers underneath. This is another stylish way of storing smaller toys. Art Gallery: What to do with your children’s art? Have one or two frames in their bedrooms or playroom for rotating works of art…and put the others that you can’t part with into plastic storage bins in the basement or attic. Colorful Plastic Bins: Waterproof plastic bins are also wonderful for bath toys. After bath time, you simply put them back into the bin, and pop it back into the closet…keeping your bathroom looking neat and tidy. Large Planter Boxes: Planter boxes come in all shapes and sizes and may also be used to hold your children’s outdoor toys. 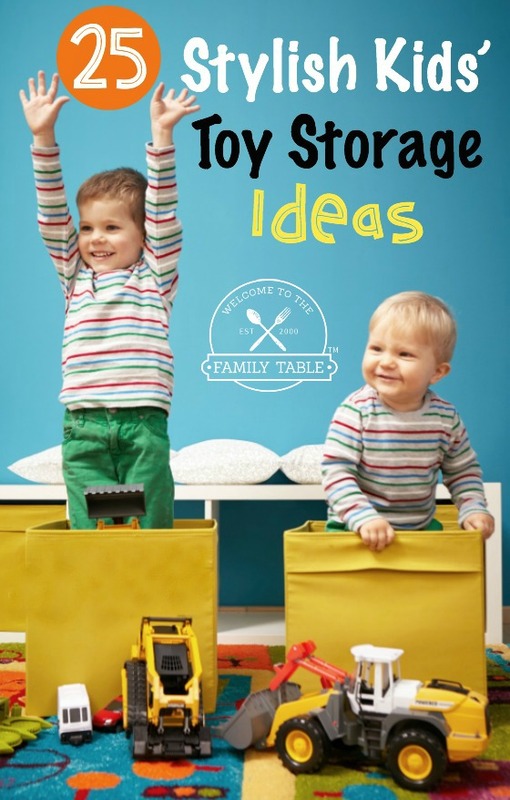 Other Kids’ Toy Storage Ideas. Storage Benches: Storage benches, made in a variety of fabrics and colors, are perfect for adding to your décor and holding a good number of miscellaneous toys. And of course they give additional seating in tight spaces, or in rooms where seating is limited. Perfect for those play dates. Closet Shoe Organizer: A shoe organizer, hung over a closet door, is perfect for holding a variety of smaller toys. It’s hidden and keeps them out of the way. Personalized Bags (for the car): If you’re struggling with toys all over your car, giving each of your children a small personalized bag to hold all of their needs for the car will help keep your car looking its best. Old Dresser: Do you have an old dresser in the basement? Move it upstairs and designate each drawer for its own kind of toy. It will add to the look in your playroom or bedroom and will hold a large number of smaller items. Outdoor Storage Benches: Storage benches, made for hoses and other outdoor equipment, are great for balls, Frisbee’s and more! Backyard Shed: If you are struggling to figure out what to do with bigger outdoor toys (bikes, soccer goals, etc) then perhaps a shed would be a good idea. They come in a variety of stylish designs and price ranges and can be perfect for making room for your car in your garage. 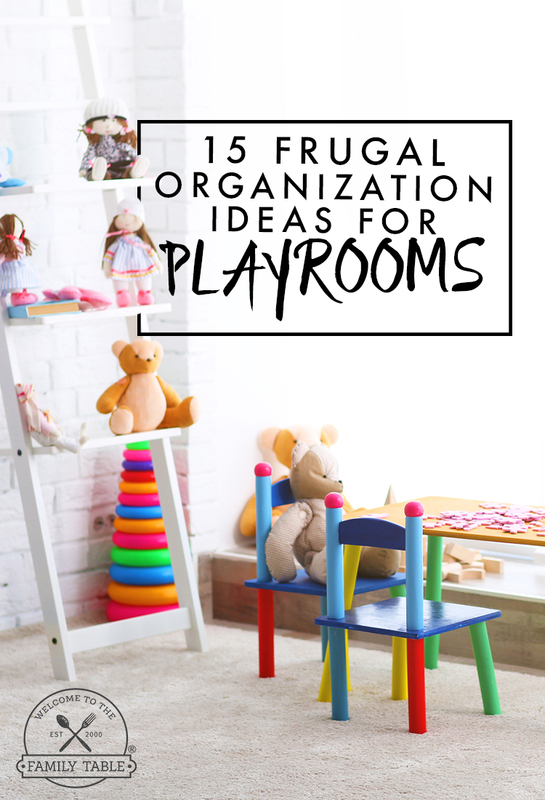 Do you have other stylish kids’ toys storage ideas? Please share!